I agree that Landscape Gardeners East London can use my details to contact me in regards to my enquiry and for future offers. Landscape Gardeners East London is your best choice for any gardening and landscaping services. We fully understand the challenges that people in the area face when it comes to gardening. This is a demanding chore, which some may struggle with. Whether you don’t have the time or you lack the knowledge, we are here to help you keep the garden a beautiful and welcome place regardless. 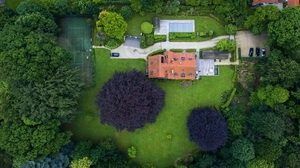 Our company has developed efficient methods and techniques for gardening and landscaping. Our portfolio features great many services, which we have perfected throughout the years. Right now we are one of the leading providers of gardening service not just in East London, but also beyond. It is the dedication and effort we put into each of our services that drives the interest of so many clients in our company. In case you are starting a fresh new project, you will be more than happy to have our garden design experts by your side. They can not only visit the site and consider your ideas, but also suggest a few things. When this initial phase is over, our company will devise an action plan based on the characteristics of the place and your preferences. We will then provide you with a quote, and proceed with the job upon your approval. You can expect us to address every little detail of garden structures, plant areas and water features so that the design is a unique one. It won’t be long before you see it take shape in your very own garden. If your garden is all set up and you are already enjoying the benefits of having it, you must consider some maintenance. 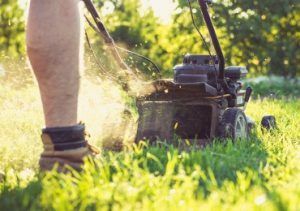 Thanks to our professional gardeners, you won’t need to waste time on tasks like lawn care, hedging, pruning and weed control. We utilise the very latest gardening equipment and we always make sure our gardeners are properly-trained. Our staff is the backbone of our services, so we are on a mission to always improve every aspect of their work. That is how we know they will not only handle the usual tasks, but also address unforeseen challenges. Keeping that in mind, don’t hesitate to contact us on 020 3909 7644 if you also have an amount of garden waste. Our company is proficient in garden clearance as well. We greatly value your time, as a customer, and for this reason will be very quick to arrange a service with you. Once you call us on 020 3909 7644, you can be sure that we will address the fine details of your enquiry and provide you with a free estimate right away. You will be pleased to know our customer service is always available to assist you with any information required. Don’t hesitate – give Landscape Gardeners East London a call today and experience top-level gardening services.